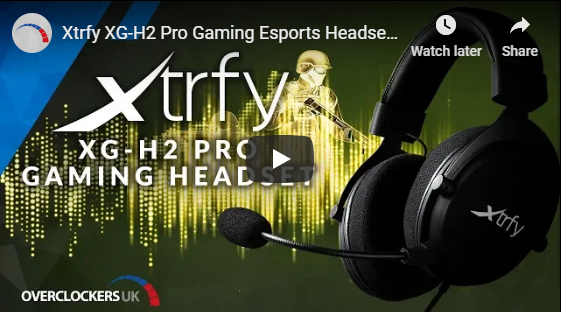 The Xtfy H2 Pro Gaming Headset is designed for professional esports. Developed with expertise from one of the world's leading teams, Ninja in Pyjamas, it's tailored for gaming in total comfort. The closed headset design features extra large over-ear cups, with thick memory foam cushions and a low-weight construction at just 330g. The ear cups are equipped with extra large memory foam cushions for a comfortable fit, their outer layer is stitched with breathable mesh cloth, allowing your ears to keep cool during long sessions. Inside the cups, you'll find a layer of PU Leather to help reduce sound dissipation and compliment the closed cup design. The upper head rest is cushioned with thick memory foam padding on both sides, with PU leather that's stitched and embossed for a premium finish.